What Choices Do I Have In Using Homeopathy? Am I looking for a practitioner of homeopathy for myself and my family? Are there easy methods for myself to learn to use homeopathy in my home? Is homeopathy just about using the remedies? Explore Choices For Your Family! Should I Self Treat or Hire a Homeopathic Practitioner? When is it okay to try homeopathic remedies on my own? When is it best to hire a professional for homeopathic recommendations? 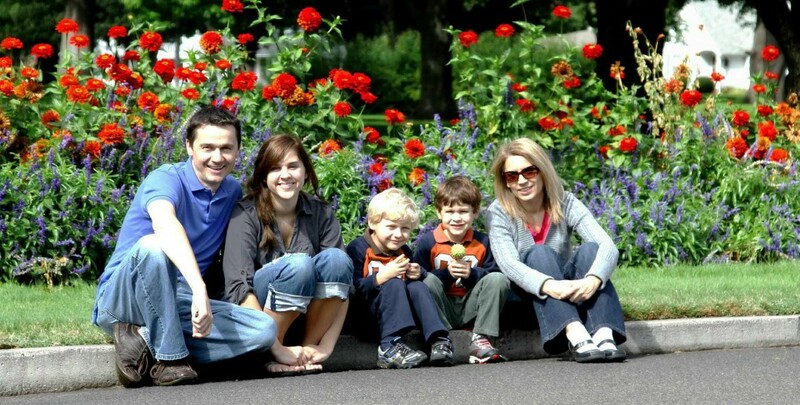 What is the best homeopathic approach for me and my family? The simplest answer is, if you face an acute non-life or limb threatening condition, and you have time to allow for a normal healing resolution, then self treatment would be just fine to explore. In-fact, trying remedies on your own can be a great support for your family for their comfort, health, and wellness, not to mention economically helpful too, as long as the condition does not become life or limb threatening, and gets resolved in a timely manner. Millions of people have had great success using homeopathic remedies on their own for well over 200 years. Again the remedies themselves have no toxic side effects, the worse that can happen is no response and continued discomfort, from inexperienced remedy selection. As in anything, the more experience an individual has in using the remedies the more useful they become. Families across the world have their own homeopathic kits and books (called prescribers) and use them very successfully. If in doubt, you may always ask for help from a practitioner. With the help of a skilled practitioner. The healing potential of homeopathy really shines in the hands of a skilled practitioner. Natural healing is much more than using appropriate remedies. Skilled homeopaths are trained to search for what started the condition in the first place and help you to remove those obstacles, so your body can heal itself, sometimes without the need of a remedy. Homeopathy is remarkable especially for safety in dealing with chronic conditions, and in my opinion should be utilized first over more invasive or toxic therapies. For best results, chronic conditions are exclusively dealt with under professional care. 1. Increased and continuous use of medicinal substances without resolution of the underlying cause (leads to a strong decline in health). 2. Surgeries, which need to be repeated seemingly without end, are another indicator. The overall strength of a person declines with each shock (surgery) to the body. 4. When you just don’t feel well and discernible reasons or diagnosis can’t be found. 5. Becoming more and more sensitive to the environment, foods, medications, and supplements (This is a definite indication of declining health). 6. When participation in life in general is decreasing (Participation is health). 7. When a person decides to be responsible for his or her own health and well-being, and just needs a little guidance. This is a wonderful time to see a homeopath before things become a problem and invasive therapies still may be avoided. 8. When there is a spiral downward of ill health without resolution. 9. An endless list of medications, which keep expanding. 10. Toxicity marked by aches and pains continuous or coming and going and a general feeling of declining as in what many people trump up to old age. Mainstream medicine does not have viable safe answers for these situations. In most of the above situations the toxicity becomes greater from medicinal use until the situation is critical. I consider it negligence for practitioners of any health science not to recommend seeking the services of a good homeopath or alternative healing practitioner under these circumstances. This is an area where people also have good results in treating themselves with homeopathic remedies, but I wish to share a warning with this. I call it treating acute manifestations of a chronic condition. Or, simply put. It’s where a person has a chronic condition and they wish to handle the pain or discomfort using homeopathic remedies on a continuous basis. Relieving the symptoms can usually be successfully done, but you need to know there is always a cost. Not because of the homeopathic remedies. The cost is from not addressing the causes of the chronic condition in the first place. Without addressing the cause the condition continues and worsens over time. The great up-side to using remedies in this way comes from replacing the need for toxic and damaging medicines or substances to handle these symptoms. This reduces the decline in health and vitality from the harm of toxic medicines or substances, but does not handle the causes of the condition itself. Medical drugs especially, as well as continuous use of a very few herbs and nutritional supplements, become toxic with long-term use, and promote the possibility of side-effects. Just remember, while homeopathic remedies are great to alleviate symptoms it would be best to have a professional homeopath or good alternative practitioner help you to address the causes of your chronic condition causing those symptoms in the first place. We also recommend that if any condition is possibly life or limb threatening, or you don’t know, please get it checked-out by a western medical doctor. Non-medically trained homeopaths, such as myself, don’t have access to emergency medical techniques. Western medicine has a monopoly on emergency medicine, and does have good results treating emergency situations, this can’t be ignored. No need to ever risk your life or a limb unnecessarily. However, after an emergency is handled, in-order-to heal, it’s almost exclusively best to find an alternative to western medicine. Now that is our honest, but controversial opinion. Chronic conditions – don’t end. The person suffers on a continual basis, or the symptoms disappear and then return repeatedly. Chronic conditions are best treated by a professional homeopath, because it requires both constitutional care (looking at genetic, learned behavior, and environmental causes of illness) and managing the obstacles to cure (inquiring into how the patient’s lifestyle contributes to their dis-ease). Acute conditions – are diseases or situations that we know are going to end anyway like cramps, colds, flues, muscle soreness or fatigue. These are conditions that if not too severe (and not life- or limb- threatening) have been known to be self-treated at home with a good homeopathic kit and a good homeopathic book that can be used as a prescriber with great success. Acute manifestations of a chronic condition – are symptoms that come and go in a long-term illness. The chronic conditions should be brought to a professional homeopath to find root causes and life-style changes needed to heal. Pain or discomfort has been known to be effectively handled until then, by the person himself or herself, using a good homeopathic kit with a good homeopathic book, called a prescriber. 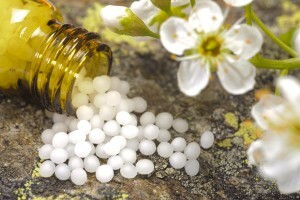 How are Homeopathic Remedies Used for Self Treatment in the Home? Homeopathic remedies are economical, safe, effective, and great to have on hand when needed in the home. Arnica has got to be the number-one homeopathic remedy used in the world and for good reason. Arnica is used as first choice in any trauma or injury. It has been commonly used for bumps, bruises, muscle fatigue, over-exertion, physical exhaustion, and the pain or discomfort associated. In our house, like many others, it is the first remedy given for any injury. The results happen within a few minutes and it can bring very dramatic relief. The effectiveness of arnica used in home is quite a source of spectacular stories. Mom is at a sporting event and their son or daughter will be hit in the eye with a fast ball (or some such trauma). Mom immediately rushes to the field to give Arnica. When used right away, Arnica has been known to completely prevent the shiner from ever developing. With the immediate use of Arnica, recovery is dramatic and quick with remarkably little pain, bruising, or swelling. Arnica Montana is a wonderful remedy to help people through surgical procedures, as well. The patients (and their nurses and doctors) have reported a dramatic acceleration of their recovery and reduction of pain (with less bleeding, swelling, and bruising). The results of Arnica alone have converted many people to the use of homeopathic remedies for their health. I’ve known medical doctors, dentists, and plastic surgeons to use it routinely with extraordinary benefit to their patients preventing blood loss, bruising, swelling, while establishing their quicker recovery. Athletes use Arnica to boost performance and prevent soreness and it helps recovery from fatigue. All-in-all, Arnica is a pretty amazing remedy. Remedies, remedies, and more remedies! Arnica is just one example, but there are many other remedies which have been just as amazing when used in the right circumstances. There are homeopathic remedies used through every stage of life from small infants teething (helping with pain, and mom’s frazzled nerves) to the aches and pains of old age arthritis. Remedies are helpful with both physical needs and emotional situations as well. And, the best part is none of the remedies are addicting even when helping emotionally and none can cause any toxic harm. People tell me it’s a relief to choose remedies with no possibility of causing their children harm. Mom’s balk at the scary list of side-effects rattled off on the television these days. Especially, since there seems to be a rash of medical drugs being pulled off the shelves, some have been in use for decades before they were removed for causing deaths, or harm to people. Homeopathic remedies have been in use for centuries by millions of people without any toxic side-effects, and no deaths. By now we know homeopathic remedies are completely safe, so honestly, the best way to discover homeopathic remedies is to try them. It takes practice at first. Maybe a little patience. Many times a remedy will not seem to act because of poor selection, but with a little patience and trial and error you will discover inexpensive, non-harmful, non-addicting, effective remedies (tools) which help your family’s health dramatically. Basically there are two types of remedies to explore. Single remedies and combination remedies. You will need to choose which is better for your family’s needs. Maybe using a bit of each can be rewarding as well. Single remedies are like the Arnica we discussed above. These remedies are made from one specific substance and have very detailed indications. Indications for use are written in books called prescribers. As an example in a prescriber there may be 10 remedies listed under headache. Each remedy will have a description for use following its name. Belladonna – A headache which comes on quickly with a throbbing force. The headache may be due to being in the sun too long. Usually located in the forehead above the eyes, accompanied with a bright red flushing to the face. There can be 10 remedies or more listed under this headache category, but if your headache matched closer to this description of Belladonna then any other, then Belladonna would be the appropriate choice. It’s fairly simple, but does take some practice. If the symptoms and conditions matched close enough under Belladonna, using it would most likely relieve your headache. However, if your symptoms didn’t improve relatively soon then the next closest description of a remedy could be sought after, and the next appropriate remedy tried. The more user-friendly remedies are called combination remedies. These remedies are actually combinations of the single remedies which are known to be helpful in a similar condition. The box the remedy comes in will just say a particular condition on the front such as cough, allergies, teething, etc. Homeopathic pharmacies design combination remedies. Pharmacies put remedies known to help with a particular condition together in easy to use tablets, or drops. These combination remedies can be very effective and definitely much easier to use. However, two things to note regarding combination remedies. First, not all combinations are the same because different pharmacies create different formulas from their experience, so if one doesn’t work, a different pharmacies formula may be more successful for you. Second, combination remedies are not as specific or scientific as individually chosen single remedies. The remedies have never really been tested to work in combination together, but quite frequently they do. Combination remedies are easier to use and can be very effective. But, in my experience single remedies have been more successful than combination remedies because single remedies are individualized to the person and what they are going through at the moment. You’ll have to make a choice as to how in depth you wish to explore homeopathy and which is a better process for you. User friendly and grab and go remedies from the counter, or do a little research in a book to choose more accurately. We have more information available in the, “Exploring Homeopathic Remedies,” section. Enjoy! Best of health in your exploration of homeopathy! *Please be aware you are responsible for your health and any use of the remedies is your sole responsibility. Any information here is completely non-medical and never a recommendation of a specific treatment. Homeopathy is our first choice for healing, but I have no hesitation in getting help when necessary, I hope you do the same. When is it best to get the help of a professional homeopath? When you are ready for a practitioner visit. Honestly, the only answer is when you are ready to do the work to heal yourself and/or your family by making the changes needed to make one step at a time be successful. Some families come to prevent illness, most come when everything else has already failed. Personally, for myself, I would prefer the first to prevent suffering for myself or my family, but that rarely happens. There comes a moment when we know what we are doing is not working. I dislike harping on mainstream medicine’s faults because there are some benefits, but the pharmaceuticals are quick fixes to symptoms which have no long term benefit for overall health by creating an addiction to their use and an overall decline in our health due to their toxicity. When we stop seeking those quick fixes and give up the search for that “Magic Bullet” or drug. Then it’s time. Homeopathy is a process of healing and most often personal growth as well. There are primarily two stages to natural health management. Or, should I say there is a stage of natural health management, and another stage of authentic healing. Health management may be done even with natural substances just like using drugs and surgeries. Basically health management is just finding substances or procedures, which help a person to feel better from their symptoms. Natural substances and procedures may have a lot less side-effects compared to drugs or surgeries. But, you would still need to continue taking the substances or repeat the procedures in-order-to stay feeling well. I consider using natural substances and procedures with less side-effects a very positive step, but not healing. By Managing symptoms the condition may be held at bay for a long time, and seem not to progress, but it always progresses to a deeper condition at some point. If an unhealthy condition is not fully addressed then the overall health erodes bringing greater problems for the future. A person may just normally age, having less overall energy, and what helped before becomes ineffective. Healing naturally is simple and profound. Find the underlying causes, change or remove them, allowing the body to heal itself. Items are used for a short-term basis. Once those items are removed the person continues to improve. There is no addiction to the items used. People seem more willing to health manage then heal. The process of healing may be difficult at times for the person and practitioner. It takes more time and patience. The causes may be hidden, and the body may actually need the symptoms to get worse before they are able to improve. It’s easier to impatiently force the body into submission like a naughty child then to spend the time to teach it to heal and take care of itself properly. If you’re ready to take on your health and stop just managing your symptoms into even worse health with drugs, surgeries, or endless supplements and even some herbs (Not that all those things are bad, but mostly ineffective for long term growth and healing). Then, a good classically trained homeopath is what you’re looking for. This is not to dismiss other Holistic therapies which may help you. There are other holistic venues! But, homeopathy can be a very profound help for regaining your health. For many people we know, it has been the most profound. If you are wanting your path to health to be as natural as possible and you are ready for a partner for that journey, then we invite you to make an appointment with Ron, here. You are responsible for your health and well-being. In our opinion it is never a problem to seek the advice of a medical doctor while using homeopathic remedies, either while under the care of a homeopathic practitioner or during self-treatment. There are a few medical doctors who are also homeopathic practitioners, which does make things easier in certain circumstances. With that said, you’ll need to understand most western trained medical doctors do not have any education regarding homeopathic remedies and will usually give extremely false information regarding their safety, and use. Please don’t assume your medical doctor knows how dilute and safe the remedies are. Even, nutrition is considered an elective for a medical doctor in her training. Homeopathy is strongly discouraged from being explored in the U.S. by any medical personnel. At one time, I explored the idea of becoming a medical doctor, but I was told to hide my ambition in homeopathy for fear of persecution by my medical doctor adviser. There is no data in the literature of western medicine in regards to drug interactions with homeopathic remedies, because there are no chemical interactions. At least no known interactions scientifically based. Medical drugs will usually just stop the action of homeopathic remedies. In past experiences we have found many medical doctors will not admit to their unfamiliarity with homeopathic remedies. They seem to mistake them for common herbs, nutritional supplements, or they falsely accuse them of being placebo. Uncommonly, I’ve heard doctors tell their patients homeopathic remedies could be harmful and cause liver damage, which is ludicrous. On-the-other-hand, I’ve had medical doctors who will ask me which tests I wish to run and write down a remedy I recommend as their own prescription, but both extremes are rare. Mostly, they are just unfamiliar with homeopathy. Either way, the more they come into contact with your choices the better they may be able to help you and your family. You will need to be responsible by either enlightening them if you feel confident, or choosing another path with the information you have learned. You must be the one responsible for your health. When working with clients, I request them to be honest with their doctor and have understanding for their lack of training. Usually, it’s not their fault it’s the pharmaceutical culture they are trained into. We are all trying to help as best we can from our diverse knowledge. Looking at and weighing every option is usually the better path. We hope that prepares you better for your choice of path.